Once a year, Harvard Business Review's editors examine the ideas, insights, and best practices from the past twelve months to select the most definitive articles we've published-those that have provoked the most conversation, the most inspiration, the most change. Now these highly curated collections of articles are available all in one place. Whether you're catching up or trying to stay ahead, these volumes present the latest, most significant thinking driving business today. Yet certain challenges never go away. 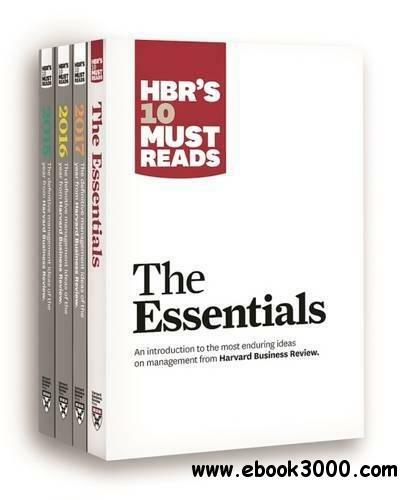 That's why this set also contains HBR's 10 Must Reads: The Essentials, which collects the 10 seminal articles by management's most influential experts, on topics of perennial concern to ambitious managers and leaders hungry for inspiration-and ready to run with big ideas to accelerate their own and their companies' success.